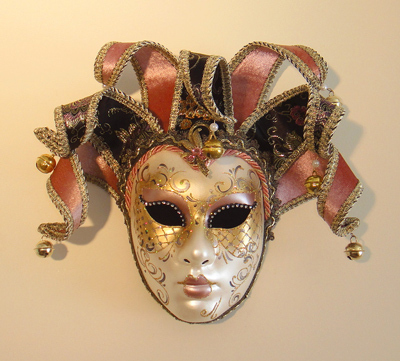 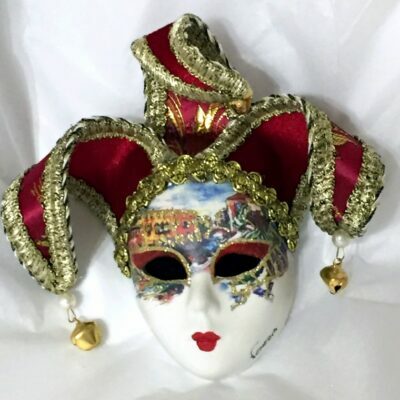 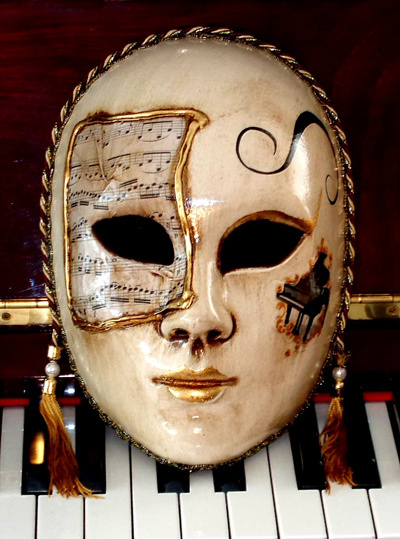 You can decorate with this Venetian Mask that is the size of a human face. 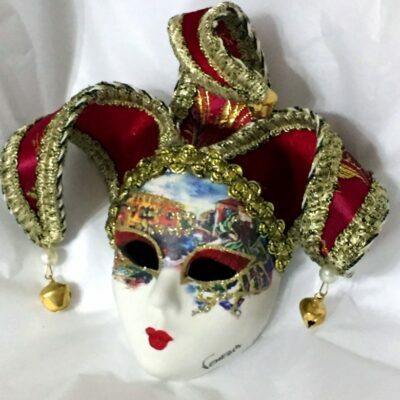 Made in Venice Italy in the traditional style with Music paper detail and Piano decoupage. 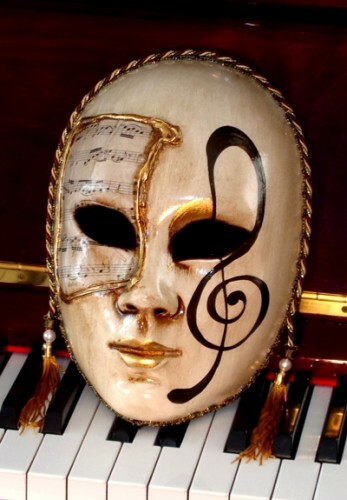 This is perfect to hang on the wall either alone or with its partner – Allegro Treble Clef. 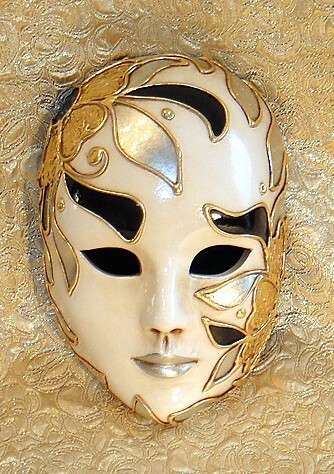 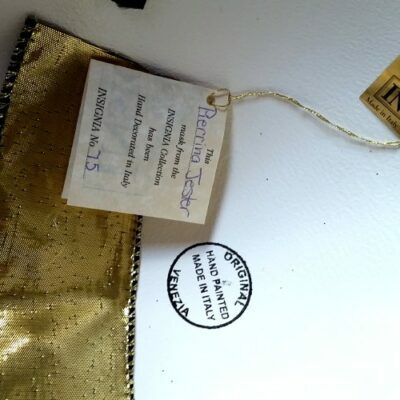 The item has an antique finish and elegant neutral tones.